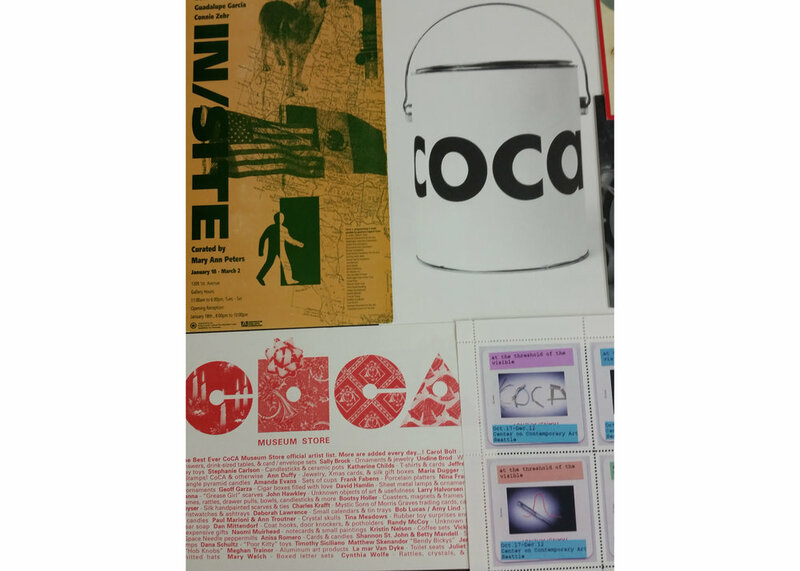 CoCA Archives Project was launched in 2013 as a way to preserve, catalog and share our unique collection of printed materials, slides, video and other materials gathered over the past four decades. To date, we have created an assessment of the collection, worked to preserve the materials, written a Finding Aid, digitized posters, videos and slides and so much more. 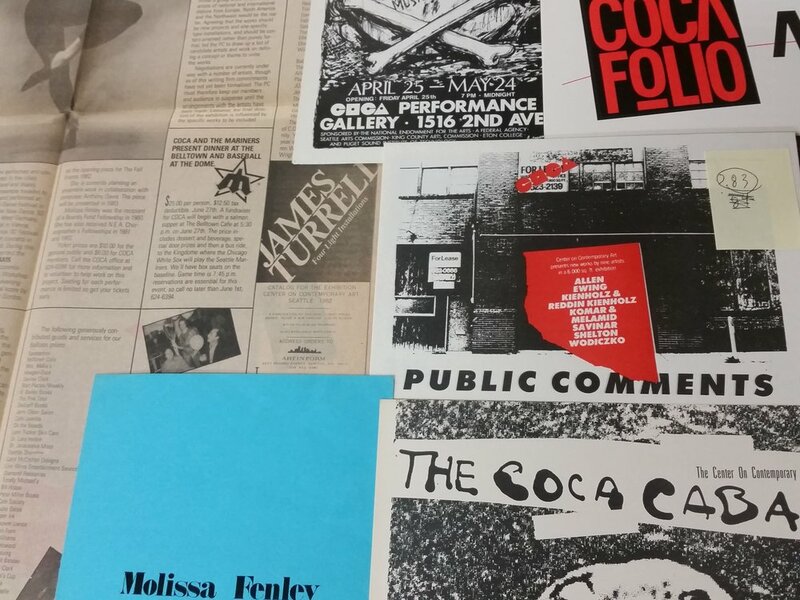 In January 2016, we launched the humble beginnings of a digital catalog for public access as part of our 35th anniversary celebrations with eight collections that span our history and illustrate CoCA's influence on the contemporary art world. With the support of 4Culture grants we have expanded the on-line catalog to include over 30 exhibitions and events. 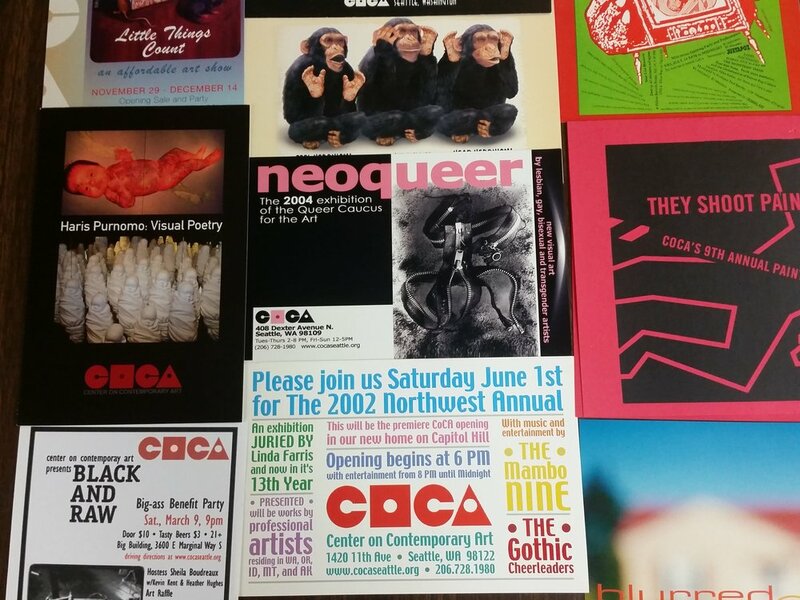 Our goal is to be able to share the 200 major exhibitions (and hundreds of additional exhibitions and events) and the work of over 3,000 artists whom CoCA has presented in the past four decades.